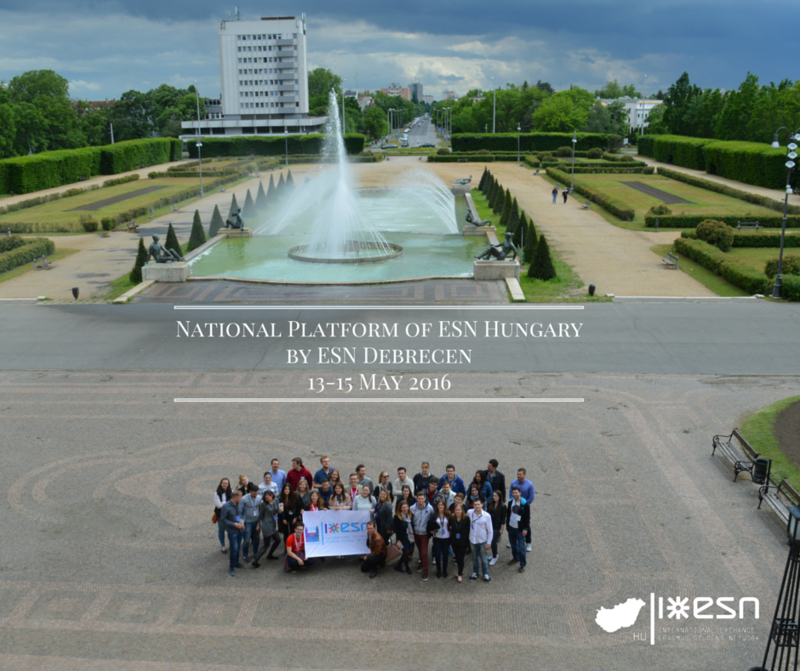 Between 13-15th May the third Hungarian National Platform of this year was organized in the lovely city of Debrecen. More than 40 ESNers participated, representing 17 Hungarian universities in order to discuss constructive ideas related to student exchange programs. The representatives of these universities work daily for exchange students who study, spend internship or participate in other research or study programs in our country. Our ESN volunteers beside working hard in their local section, 4 times a year gather together as the main decision-making body of ESN Hungary. This is the platform of discussing the most important issues regarding our network, such as general strategies, long-term plans, difficulties, possible ways of further developments, news from the international level, project implementation strategies, member recruitment or program ideas. During our National Platforms we put a great focus on best-practice sharing thus workshops and small training sessions are held to learn from each other and improve the quality of services we provide with. We volunteer, we give support every day to our exchange students and the International Relations Offices of our universities, as well as we develop our soft skills, managerial skills and professional knowledge gaining experience essential to our future career. Volunteering is fun! ESN is fun!